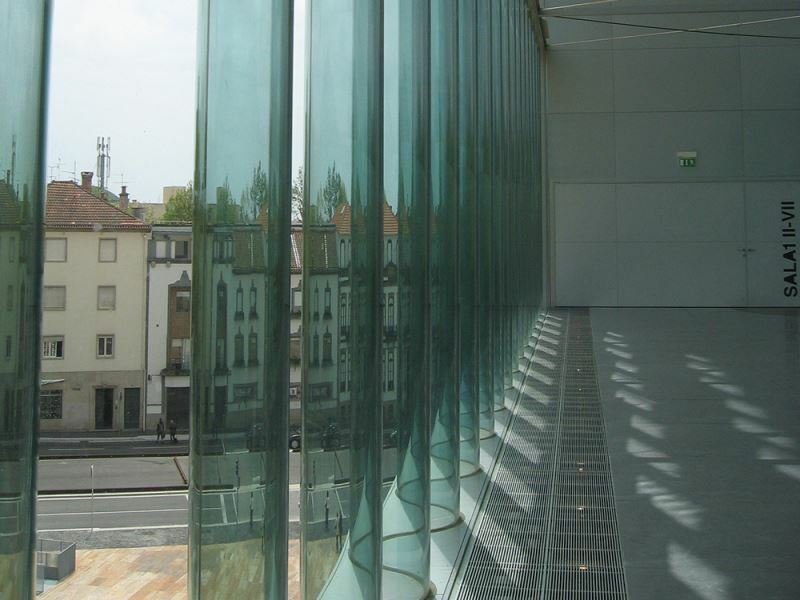 Fully glazed foyers have been built around the large hall of the Casa da Música in Porto. As the hall is also (partly) made of glass, daylight can enter from two sides. Furthermore, visitors are afforded a spectacular view over the city of Porto. 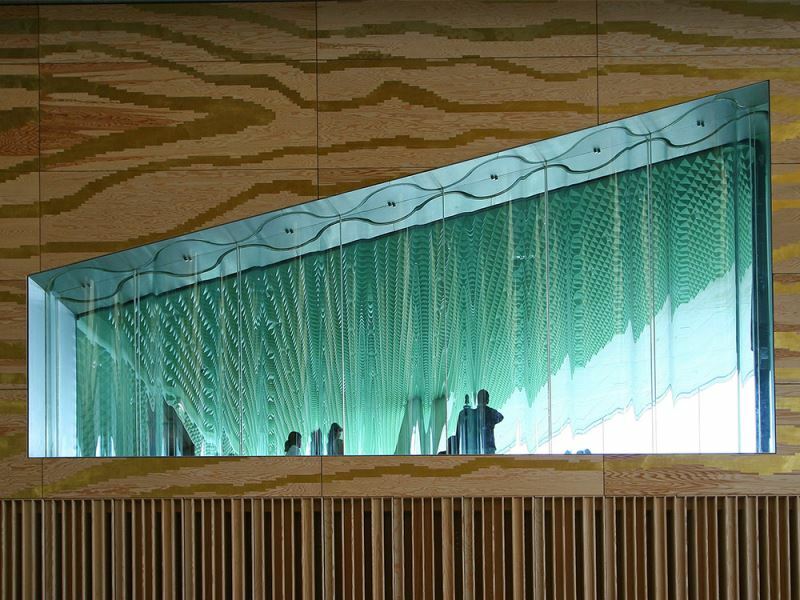 Undulating glass has been used for the façade of the foyers. This type of glass was ‘accidentally’ discovered by ABT. 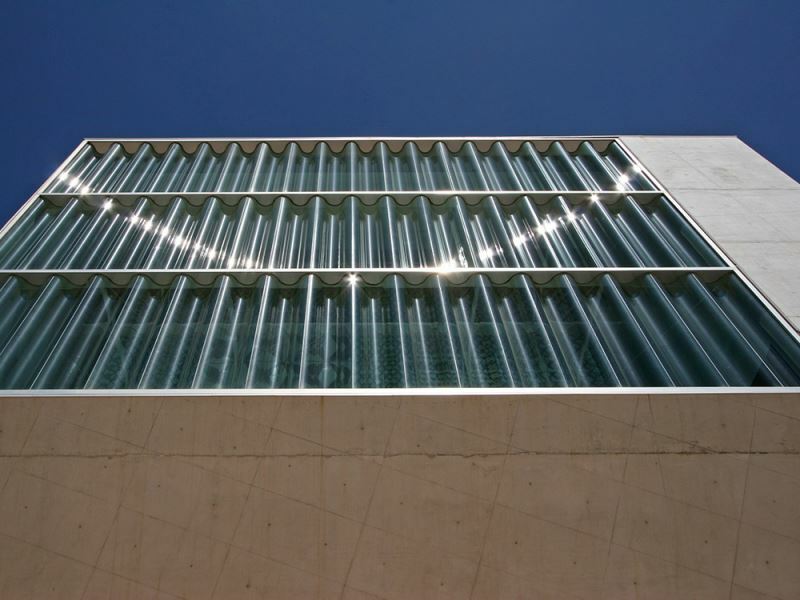 Due to its shape, undulating glass is far stronger than a flat glass plate of the same thickness. This obviates the need for steel support profiles. The architect perceived the undulating glass as providing an exciting contrast to the cool white concrete used to construct the rest of the building. Finally, the undulating glass surface provides a special acoustic side effect in the concert hall. Due to reflection, the waves provide for so much sound dispersion that in spite of glass’ hardness, it can be used as an interior wall inside the hall. While the glass attracts a great of attention, the roof of the white concrete column was to be perfectly plain. However, the Portuguese sun causes concrete to expand significantly. In addition, the roof surface was to include a gutter to prevent the concrete walls from becoming too dirty due to dripping rainwater. The smart roof design incorporates both functions. The gutter was constructed of sufficient width so that the concrete can move freely in it. To allow for this movement, it was of course necessary to pour the concrete on sliding foil, and pins were integrated into the concrete that guide this movement. 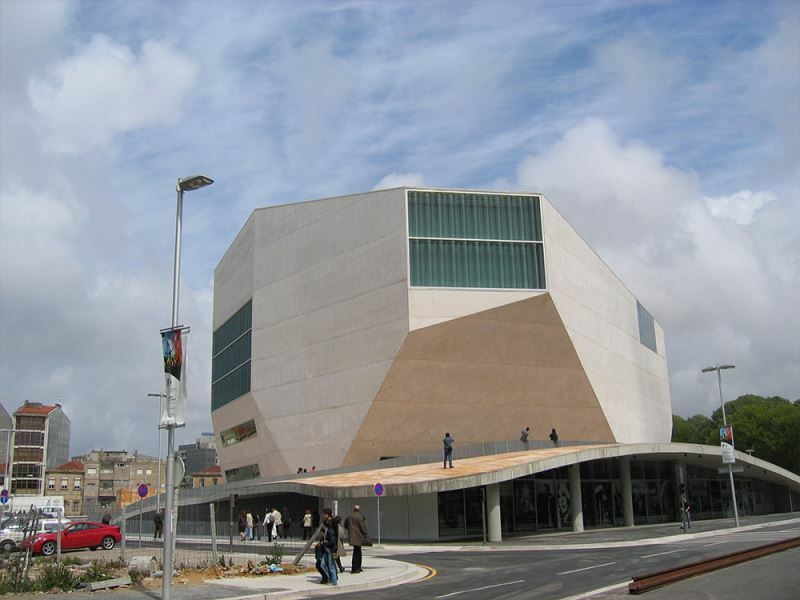 - the building's separate concrete roof, which complements the white shape. - three large windows, with the largest 20 by 14 metres!